Finance ministers and central bank chiefs of the G20 nations assembled in Sydney on Saturday for two-day talks to work out a “real and tangible framework” to push global growth. India and other emerging markets are leading the clamour for a more transparent tapering programme by the US Fed Reserve so that volatility in the global financial markets could be reduced. Indian Finance Minister P Chidambaram in Sydney on Saturday said he will also pitch for greater transparency in the US Fed’s tapering operations, expeditious reforms of IMF and automatic sharing of tax information. The Indian Finance Minister’s comments were preceded by official statements from the US authorities saying emerging markets can not blame external factors for faltering growth. “Emerging markets need to take steps of their own to get their fiscal house in order and put structural reforms in place,” US Treasury Secretary Jack Lew said at a financial conference in Sydney ahead of the ministerial meetings. 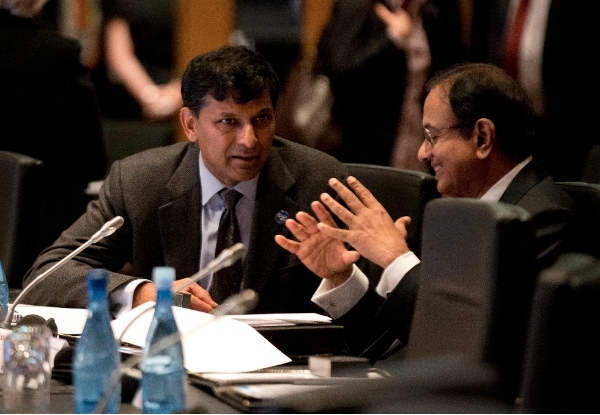 India and fellow BRICS member, South Africa have insisted on global coordination in monetary policy. “What we would want is something that agrees to the coordination of economic policies in addressing our challenges, so those imbalances do not impact negatively on the other economies,” South Africa’s Deputy Finance Minister Nhlanhla Nene said in an interview to Bloomberg on Saturday in Sydney. “Coordination takes recognition of the stage at which the other economies are in relation to your own. If we were just alive to that, we would be better placed to be able to come up with mutually-beneficial policies and initiatives that would actually benefit all countries,” the South African Minister added. Australian Treasurer Joe Hockey, however, partly endorsed India’s demand for a “forward guidance” on tapering by the US Federal Reserve when he made a case for a “no surprises policy” as far as monetary activities were concerned. “That is what the central bank governors are waiting for,” he added. Australia is the chair of the G20 this year. G20 nations represent 85 per cent of the global economy. Talking to reporters ahead of the G20 ministerial meeting, Hockey hoped that the ministers would “lay down a real and tangible framework for increasing growth of the global economy in the next five years”. India on Friday said the US Federal Reserve should provide guidance and withdraw the monetary stimulus in a calibrated manner. “There has to be a much greater clarity and much greater cooperation between the Fed and other emerging markets to ensure that tapering is done in a systematic manner so as not to destabilise whatever little stability has been achieved in the global economy,” India’s Economic Affairs Secretary Arvind Mayaram said.